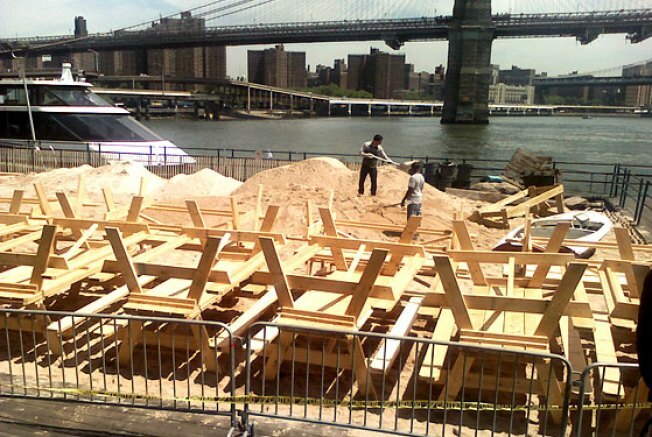 Here it is, folks — history in the making: Manhattan’s first Water Taxi Beach as seen on May 22 of 2009. 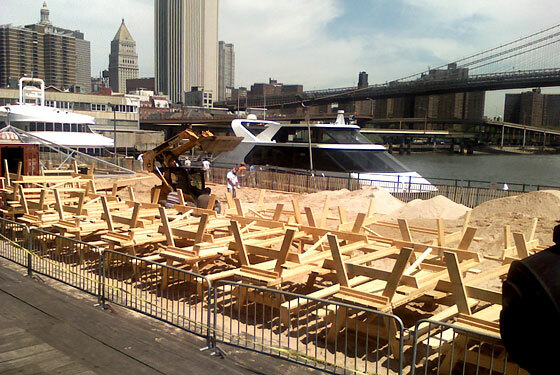 Rest assured, all that sand will be smoothed over in time for tonight's Zen meditation ceremony righteous boozefest. Below, the other side of the plot.